Fake WWE Magazine. . Wallpaper and background images in the Wade Barrett club tagged: wade barrett. 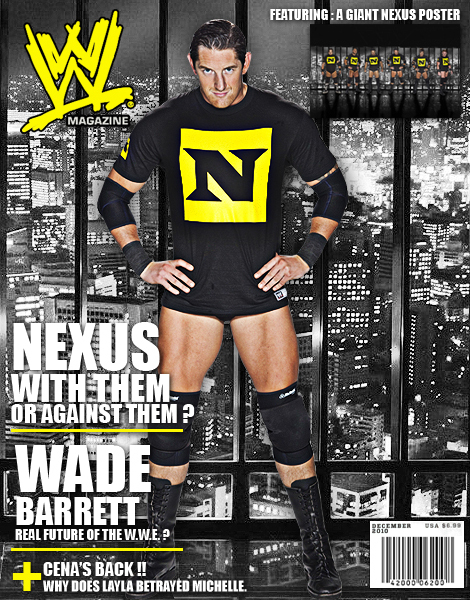 This Wade Barrett fan art contains hip boot and thigh boot. There might also be anime, fumetti, manga, and cartoni animati.